Of the many users who use Linux also have Windows installed on their systems due to obvious reasons such as some hardware and may be gaming. Even I have both Windows 7 and Ubuntu Jaunty on my laptop. Well, new linux users often complain that they cannot figure out which are Windows partitions and how to recognize them while working in Linux. 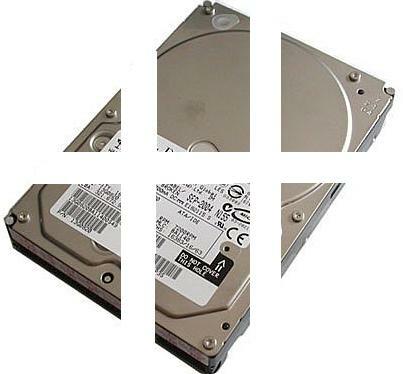 In this guide we will tell you about various ways in which you can recognise and detect Windows partitions in Linux so that you can mount them easily. You have to install a software called gparted. In ubuntu / debian you can install it using the command sudo apt-get install gparted. While in Fedora / RedHat you can do the same using the command sudo yum -y install gparted. For other distros you may download the package (tar.gz) and install it. In GNOME, you can launch GParted from System > Administration > Partition Editor. We would like to warn the readers that GParted is a very sensitive tool that deals with partition management on your computer, so it is advised you do not fiddle arround with the settings in GParted once it opens. 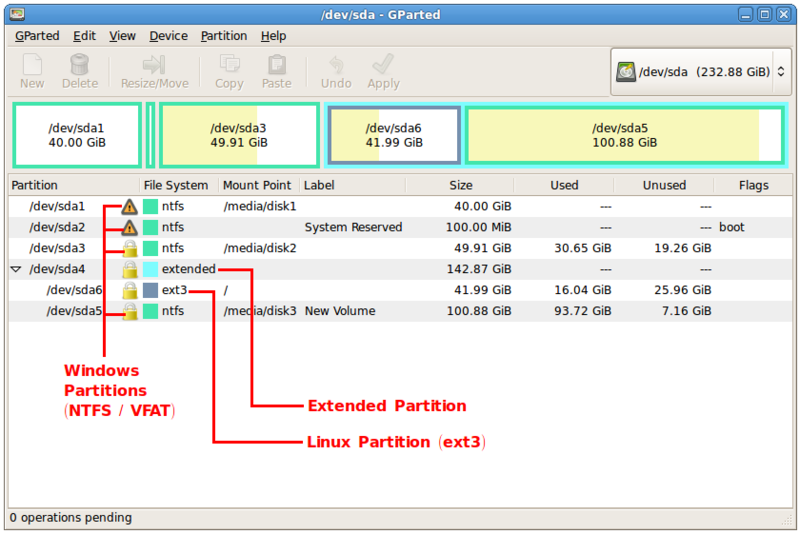 In GParted there are various columns of which two are Partition and Filesystem. We are required to deal with these two columns only. Each enad every entry in the Partition column has a corresponding entry in the Filesystem column. 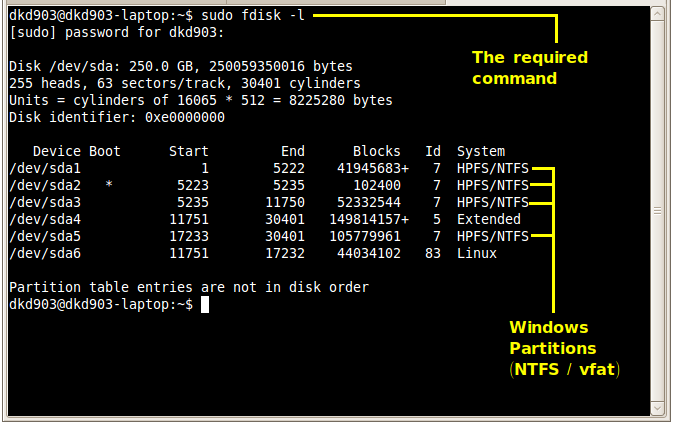 The Filesystem column will have entries like ntfs, extended, ext3, vfat and more. Both vfat and ntfs refer to your Windows partitions. So any partition which has a corresponding filesystem entry of vfat or ntfs is a Windows partition. Check this screenshot below.